Vintage Mulberry: A Southern Lady Photo Shoot! A Southern Lady Photo Shoot! You know I always love to show you when a magazine has used different items from my shop because it's fun…and it's great advertising! But this time I really want you to see what they used so you can get a glimpse of another aspect of one of our artists! 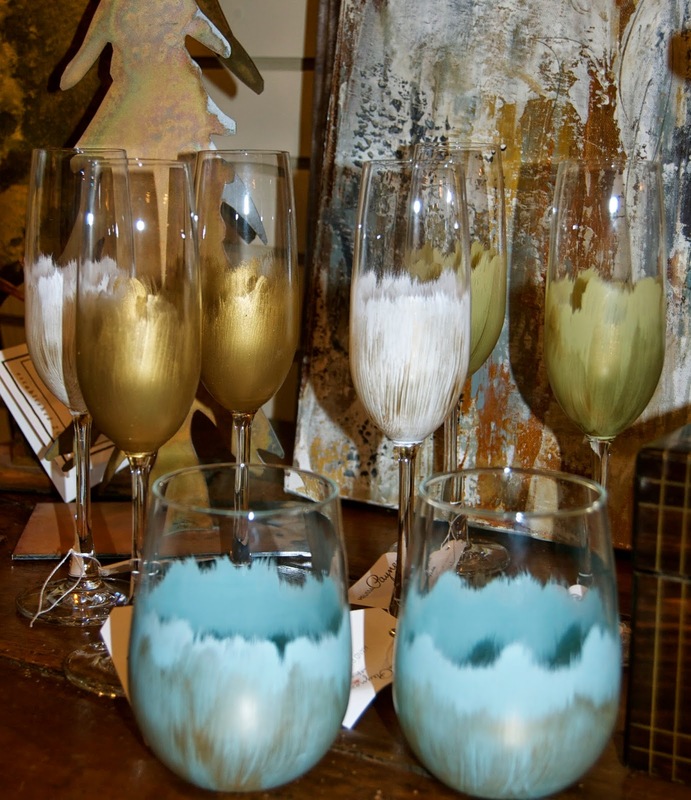 Melissa Payne Baker is one of the artists that we carry and along with her gorgeous paintings she also does these fabulous hand painted wine glasses! 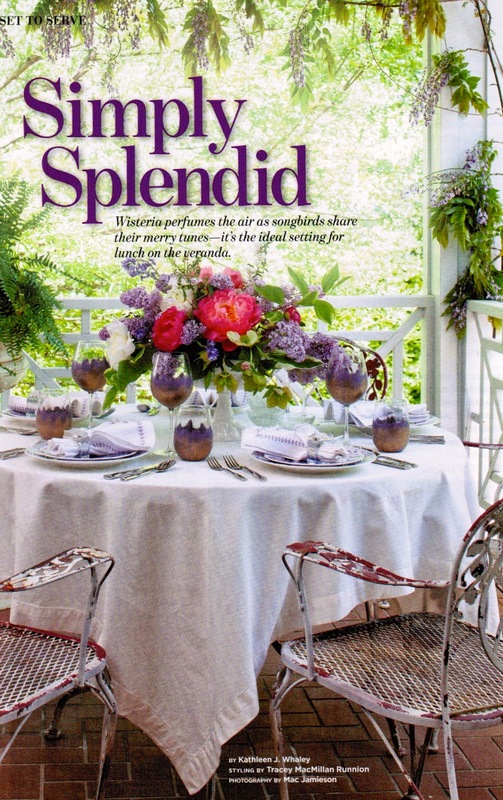 In the brand new issue of Southern Lady magazine they have featured Melissa's beautiful wine glasses with these lovely purple and white plates…what a beautiful Spring table this makes! And I know…this salad looks amazing! 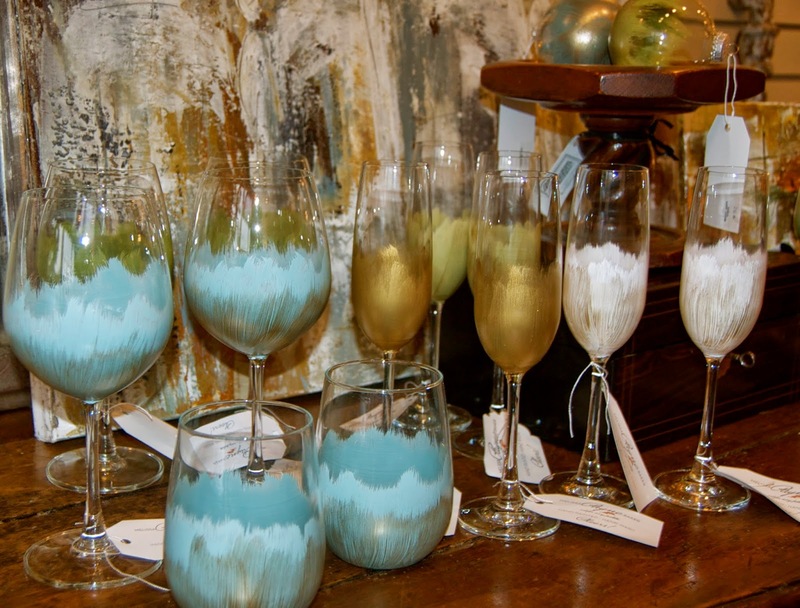 We have so enjoyed carrying Melissa's art and her wine glasses have been a huge hit as well! They are also a huge seller at Neiman Marcus during Christmas. And I'm sure you feel the same way that I do in wishing that Spring would hurry up! I want to enjoy my garden again and have beautiful flowers just like this! I am definitely not a fan of winter! I love the combination of the lime green thrown in with the purple! Southern Lady's photo stylists always do a great job on these photo shoots! 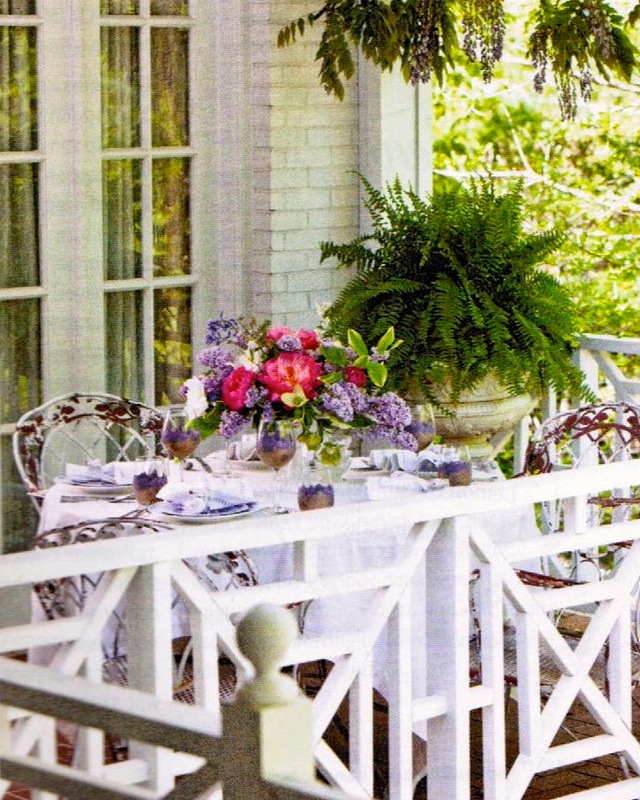 This certainly makes me want to host a garden party before too long! 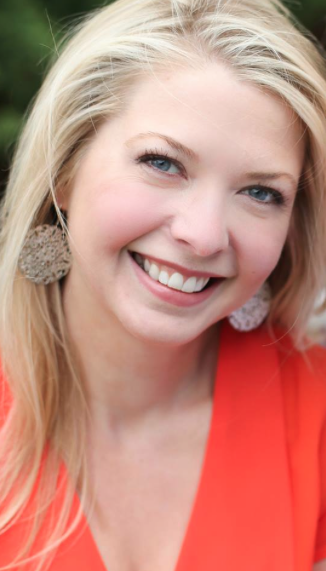 And speaking of Southern Lady…Melissa is truly a southern lady if I've ever met one. She is as beautiful on the inside as she in on the outside! 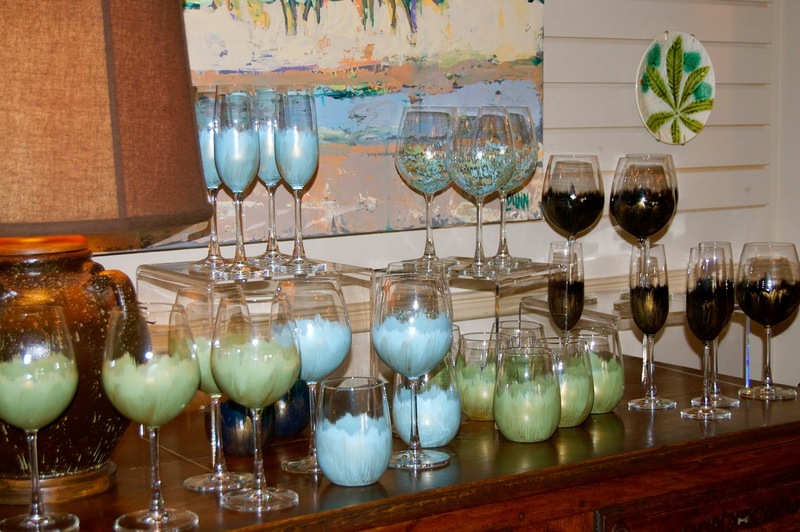 Take a look at some of the other colors the wine glasses come in. 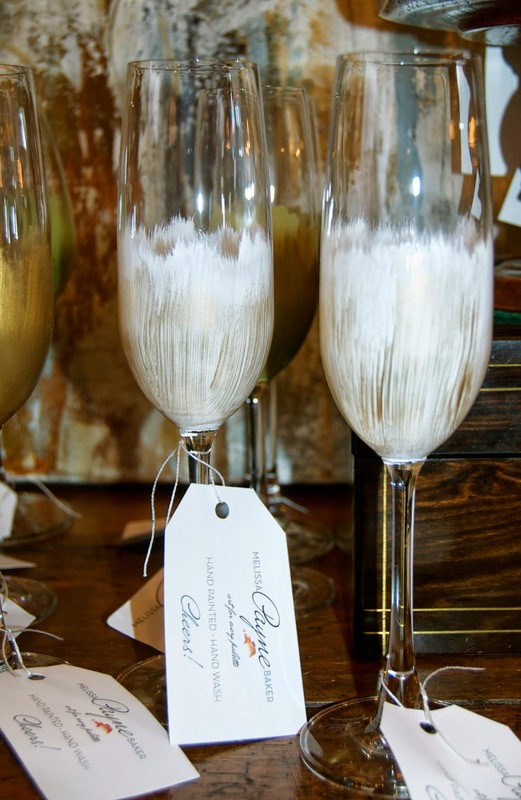 As you can see she does them in stemmed, stemless and flutes. She is happy to do special orders as well. Make sure to visit her different sights. You can see her in several publications HERE. If you like something you see on here you can call us or call Melissa! 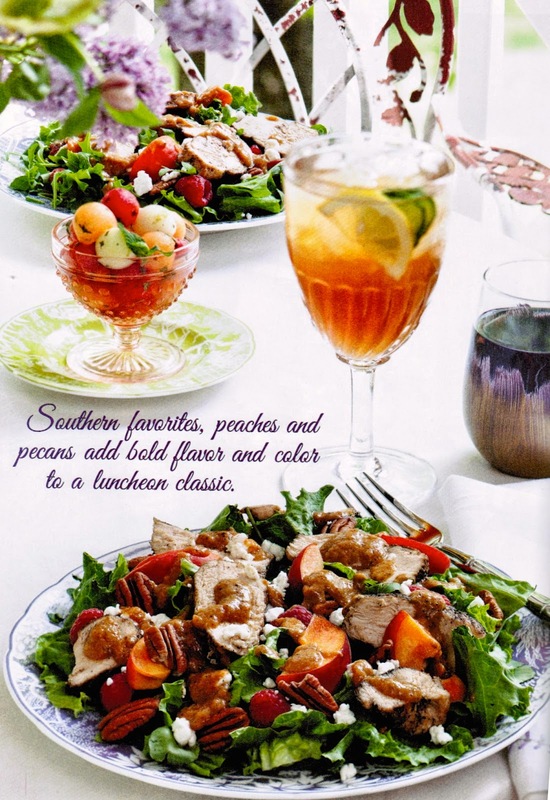 But make sure you go get a copy of this issue of Southern Lady…the recipes look amazing as well! 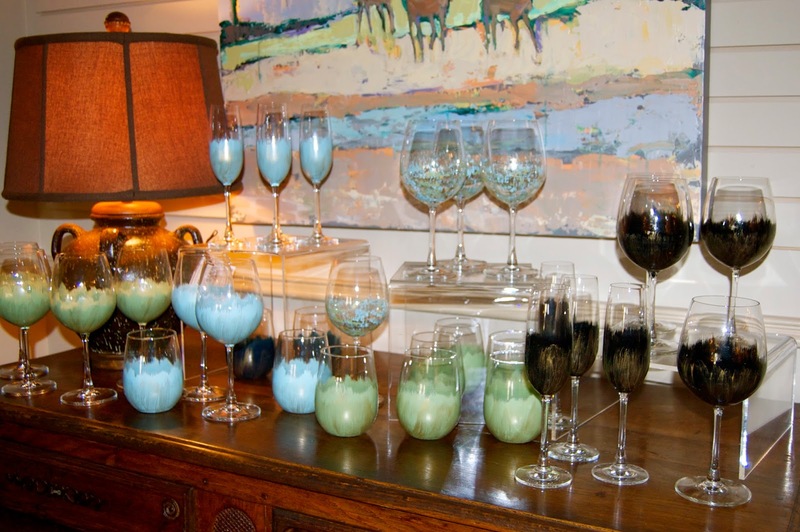 Carolyn, Melissa's artful glasses are beautiful!! She really has it going on and has creativity beyond!! 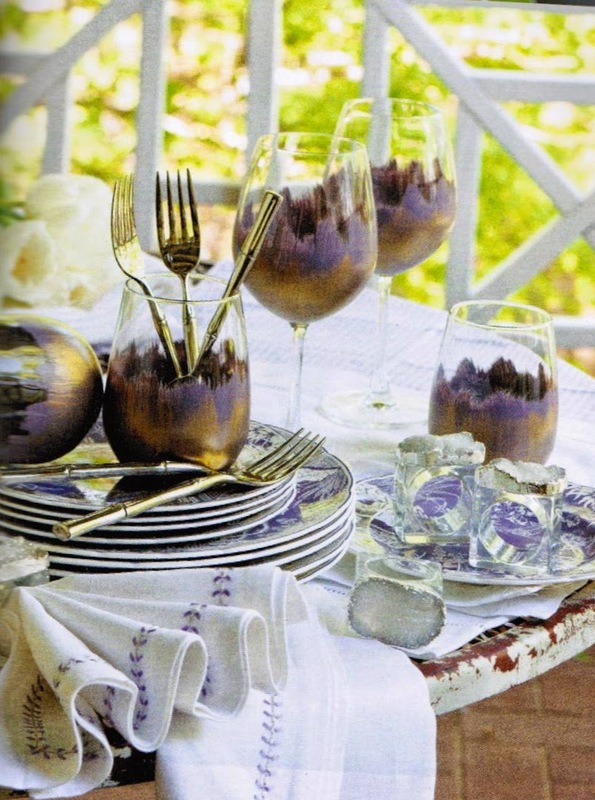 Love her glasses with the purple dishes...so pretty! 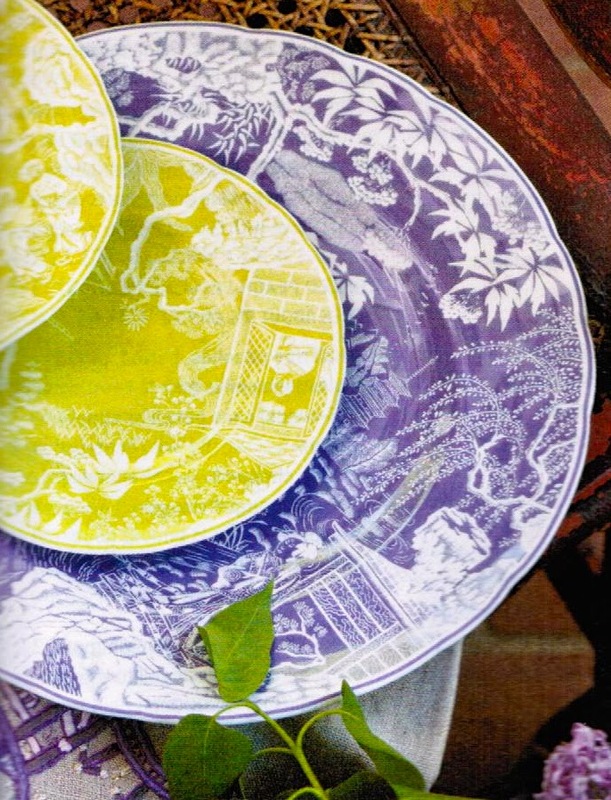 Love that color combination of purple and chartreuse plates!! 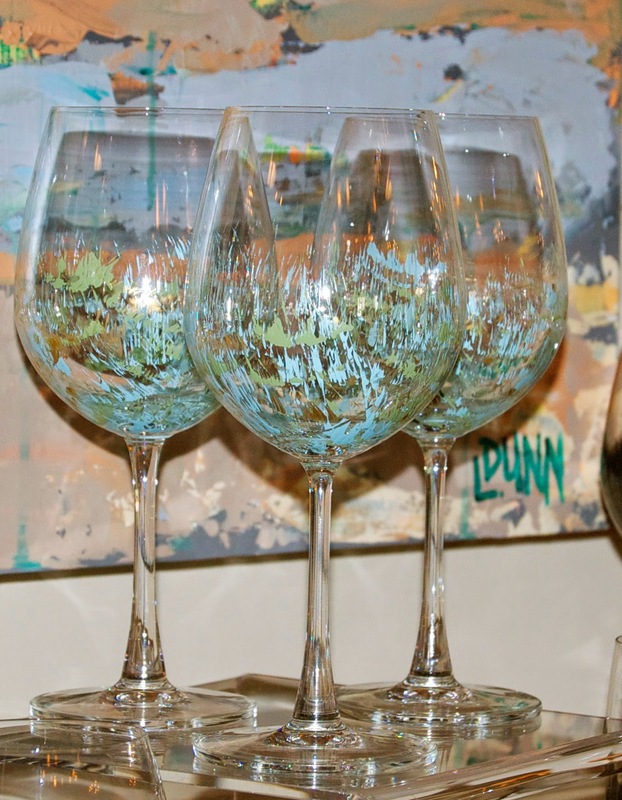 Wine glasses are very pretty too. Those wine stems are beautiful. 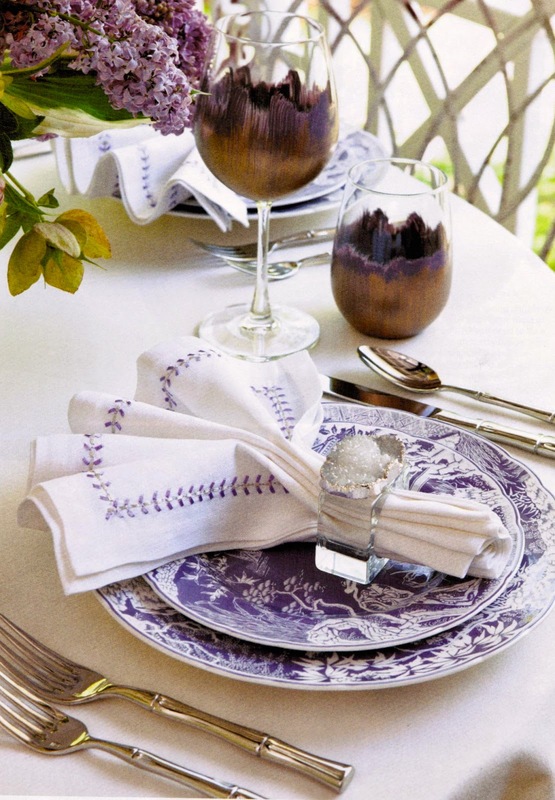 Who makes the pretty purple and lime plates? Everything is so beautiful....the lime and purple is so very pretty! Hope you are doing great!